Below, we provide the answers to some frequently asked questions. If you have a question you can't find an answer to, please send us an e-mail to let us know. How do I contact the Bishop or Office of the Bishop Staff? The "Meet the Staff" page has a contact list with complete contact information. Who do I contact with a question or suggestion about this website? Ms. Sybil Nishioka, Communications Contractor, maintains this website. How do I get my baptismal/marriage records? Baptismal and marriage records are held by the congregations in which the events occurred. Contact the church directly to ask for copies of your records (visit the "Our Churches" page). If the congregation has closed, the diocese holds the records; contact the Executive Assistant and you will be directed to the appropriate person. Are there Episcopal schools/high schools in Hawaii? Yes, there is a variety of schools from pre-school to high school. Please go to the "Our Schools" page for details. 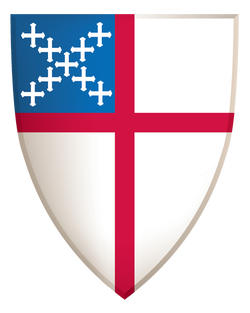 How do I find the nearest Episcopal Church to my home/hotel? On the bottom right of the Home Page, go to 'Find a Church by Island' and click on the island. Follow the listing to find a church in the town nearest to you. Where can I find a listing of Diocesan events? A complete listing of Diocesan sponsored events can be found on the Diocesan Events page under News & Events, or in the color-coded Diocesan Calendar that also contains events throughout the Diocese. Where can I find a list of the Bishop's travel dates? Please visit the "Bishop's Calendar" page. I need forms (or information) on clergy benefits - where do I go? Please check the "Church Pension Fund" page for benefits information. If you cannot locate the information, please contact Peter Pereira, Diocesan Treasurer. Is there one page where all of the diocesan forms and documents are located? Yes, please visit the "Forms and Documents" page. If there's something missing or you need help locating something, please e-mail the Executive Assistant to the Bishop. What are the diocesan procedures for contracts and leases? Please see the "Forms and Documents" Page under Resources, and look under "Contracts" or "Leases". Where is the information for inter-island travel (policies)? Please visit the "Forms and Documents" Page under Resources, and look under "Travel". What are the Safe Church polices and where can I find information regarding Trainings for them? Please visit the "Safe Church Trainings" page under Resources > Resource Center. How do I enroll in the ONLINE TRAINING programs for Safe Church? There are three separate on-line trainings: Safeguarding, Sexual Harrassment/Sexual Misconduct, Sexual Exploitation. Please contact Irina Martikainen for information regarding online trainings. How do I become an Episcopal clergy person? Please visit the Discernment for Ministry and Ordination Process pages for information, or contact Irina Martikainen. In a church: Please contact your church's office or priest. Every church and every community has slightly different needs. Churches depend heavily on volunteer help and there are many opportunities to apply your talent and skills to assist not only your church but also the larger community around you. The right match will complement your availability, your skills, your interests and the needs of the church and community, especially if you have a specialized skill/background and are looking for a specific opportunity (ex: fluency with speaking/reading/singing in Hawaiian/Maori/Korean, handling archival materials, calligraphy skills, restoration/maintenance of historic buildings, etc.). In the Office of the Bishop/Diocesan Events: To volunteer for a temporary opportunity at the Diocesan office (usually related to large events such as the Diocesan Convention, when volunteers are needed to assist with preparation, set up, registration, elections, preparation of materials and other tasks), we'd love to hear from you! If you are looking for a time-specific, term-specific volunteer opportunity, please e-mail the Executive Assistant. Diocesan Leadership: If you have professional level skills (CPA, Attorney, Realtor, etc.) your contribution of time and talent as a member of one of several Diocesan Commissions may be an excellent match that would benefit the entire Diocese of Hawaii. Please contact the Executive Assistant who will forward the information to identify a potential fit.